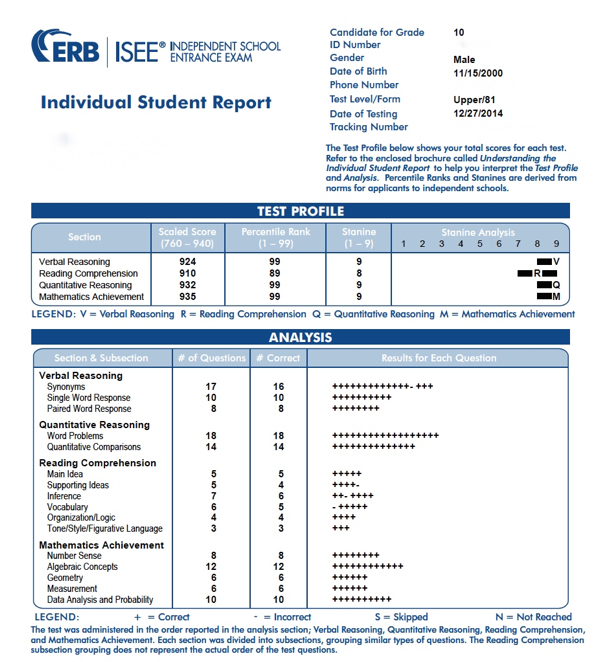 ”Unlike tests like SAT, ITBS or CTBS, the ISEE uses independent norms. of the ISEE. If looking at stanines, there is usually a 2-3 stanine drop. would likely be a 5."